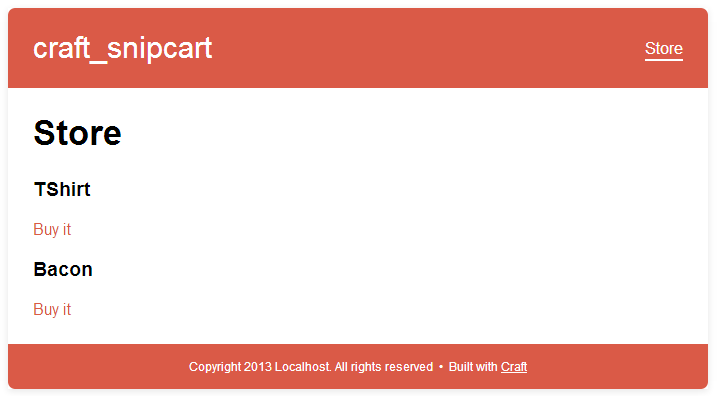 This week, we came accross a dicussion on Google+ about Snipcart’s integration with Craft, a PHP CMS. To be honest, we had never heard of the CMS before that discussion. Taking a quick look at the CMS, we saw why the community seemed very enthusiastic and engaged. On the technical side, as a developer, I found the CMS well built, easy to get started with and seemingly offering a lot of flexibility. And since the beauty of Snipcart is its ability to easily turn any CMS into a powerful e-commerce solution, we decided to take on the challenge! 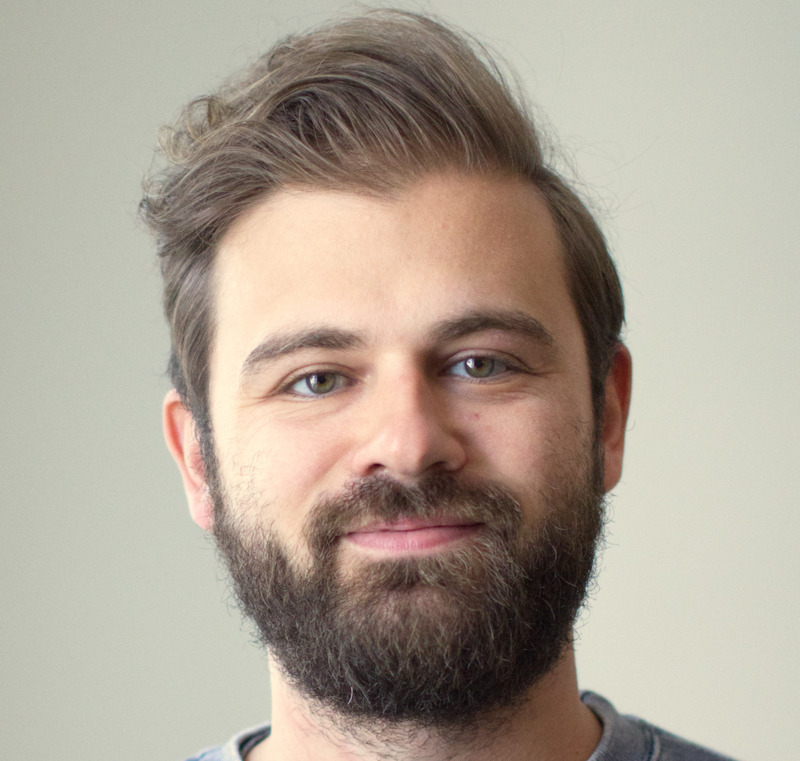 Noticing an interest from the community and being fundamentally geeks, we decided to create a quick boilerplate to see if it was easy to integrate Snipcart with Craft. Below are the steps we went through to achieve the integration. Once you're done, go back to Settings, then Sections. Personally, I had some sections that were already configured and since I don't have Craft Pro, I was able to only create one Channel section, so I deleted the other sections. Now hit New section and give it the name you want (I used Store). 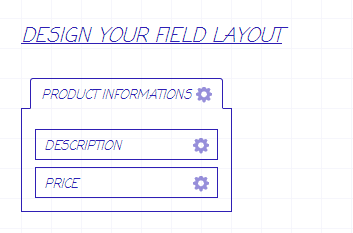 Section type must be Channel as we will be doing a product listing with buy buttons directly on the list. 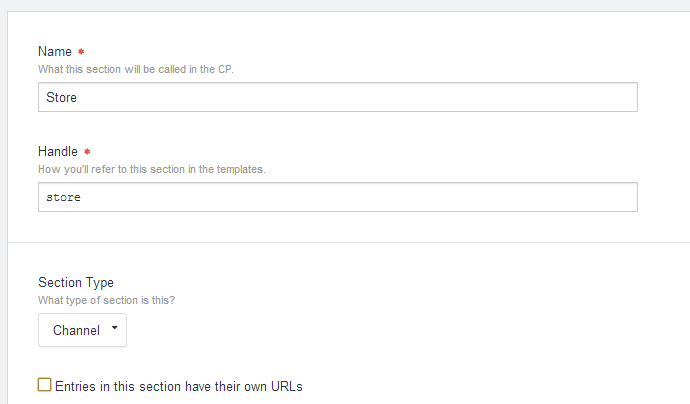 You now have to edit the entry types to add the fields that you created earlier. Once the section is created, click on Edit entry types (1), then click on Store entry types and then go to the Field Layout tab. I created a new tab that I called Product information and dragged Description and Price fields in it. Most of the configuration is now done; you just have to create a few products for testing. Click on Entries, New entry and then create as many as you want. Click on Buy it and see Snipcart in action. Ok, so now you can add products to the cart! But you will probably want to show your customers a summary of the cart: you will have to add it in layout.html to make it appear on every page of the application. If you refresh the page, you will see the summary appearing and getting updated live as you add new items to your cart. 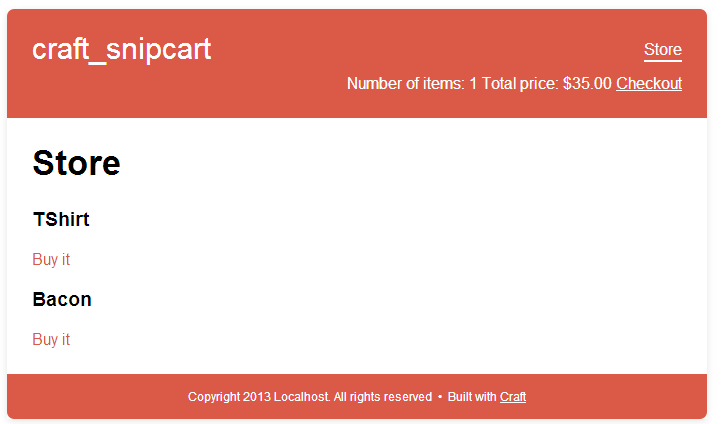 That was pretty easy, but in a future blog post, I will explain how you could setup an inventory management within Craft by using Snipcart's webhooks. Lover of code, scotch & colourful socks. Follow him on Twitter.